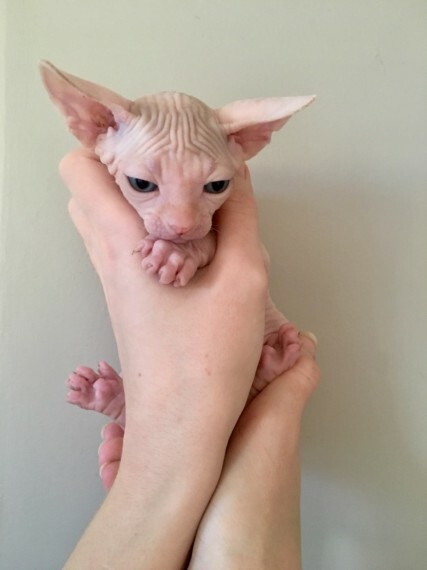 An excellent and very hairless example of the breed. Raised in a family home and used to children, pets and household noises. Mother and father are our active registered pets and pedigrees can be seen. Will come with; -full vet health check -two sets of vaccinations -dewormed -de-flead -4 weeks free insurance. -Kitten Contract and Care Sheet. -Microchip All our kittens are well socialised, litter trained and used to scratching post as well as regular bathing and nail clipping. Kitten going to pet home ONLY and not registered due to this, will be neutered prior to leaving us. Whatsapp or SMS preferred. Non refundable deposit of 250 will secure this kitten.